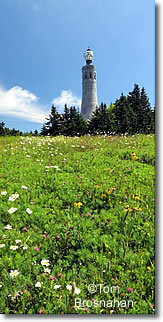 The Berkshire Hills boast an abundance of Massachusetts state parks, forests and ponds, as well as nature reserves cared for by other nonprofit organizations. 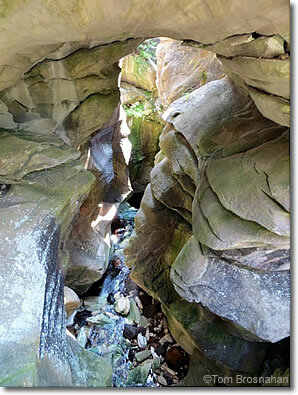 The gorge at Natural Bridge State Park in North Adams MA. Note the stream at the bottom. 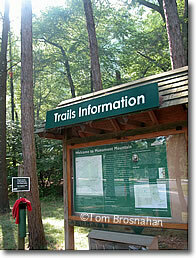 Trails Information at Monument Mountain Reservation, Great Barrington MA.